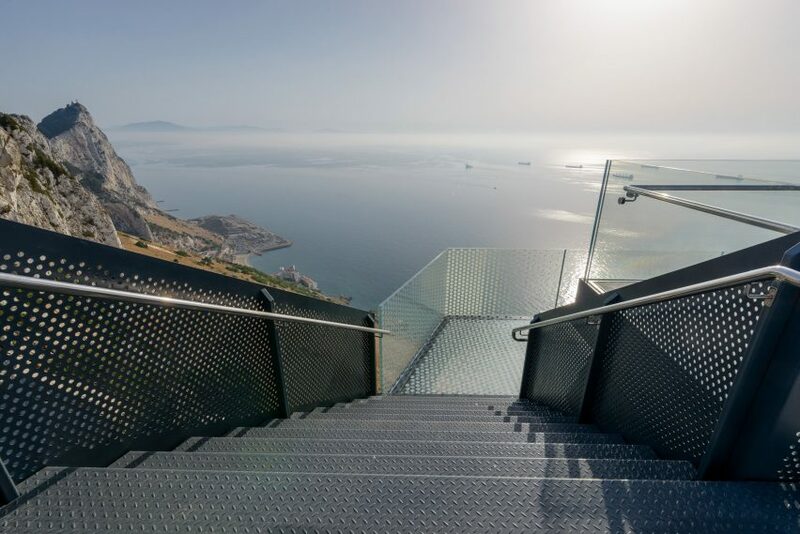 Arc Designs has created a cantilevered viewing platform, and walkway with a glazed floor, perched on one of the highest points of the Rock of Gibraltar. 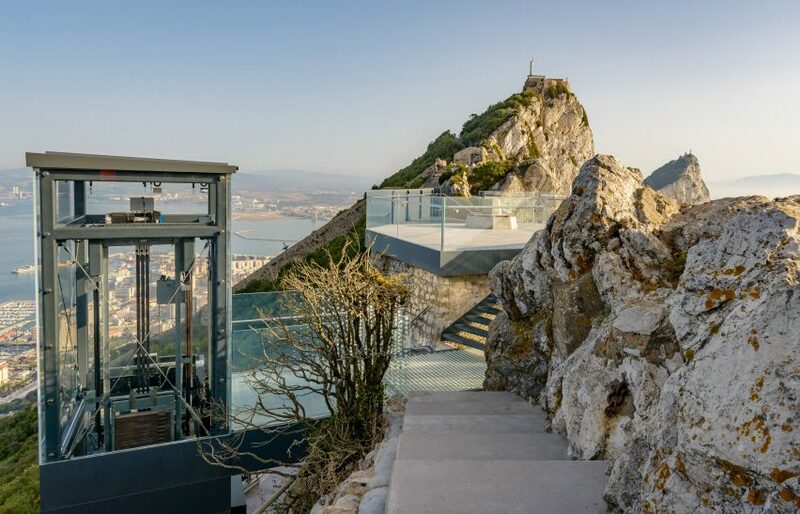 Named Skywalk, the viewing platform is built above an existing WWII military platform in the Upper Rock Nature Reserve that once served as a base for anti-aircraft Bofors guns. Arc Designs wrapped the existing stone platform with a 2.5-metre-wide glazed walkway and balustrade, which cantilever over the steeply dropping terrain. Steel stairs lead from the walkway up to the top of the original military platform, where the old octagonal concrete gun-base now serves as a seat for visitors to rest and gaze out towards the horizon. 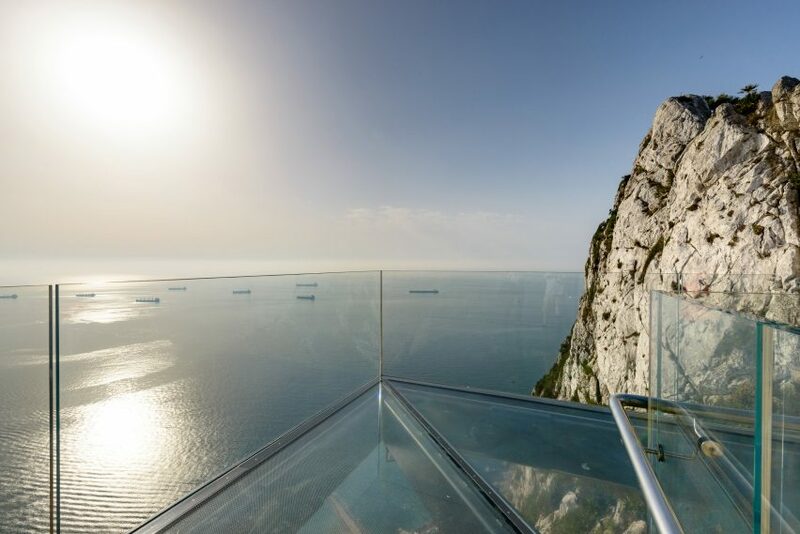 Located just a little further north of O’Hara’s Battery – the highest point on the Rock – the platform provides visitors with panoramic views both eastwards and westwards, with Europe and Africa, the Mediterranean Sea and Atlantic Ocean all in sight. The structure is anchored to the ground with numerous rock anchors, which each support a tensile load of 15 tonnes. The anchors ensure that the structure can withstand not just the imposed load of visitors above but also the considerable wind speeds of over 93 miles per hour that are generated over the ridge of the rock. The Skywalk can be accessed from the road via a panoramic lift, which anchors the overall cantilevered structure back to the terrain. “Because vehicular access to this area is limited to very narrow and winding roads, the entire walkway structure had to be fabricated in smaller sections which could be transported and assembled together in-situ,” explained the architects. 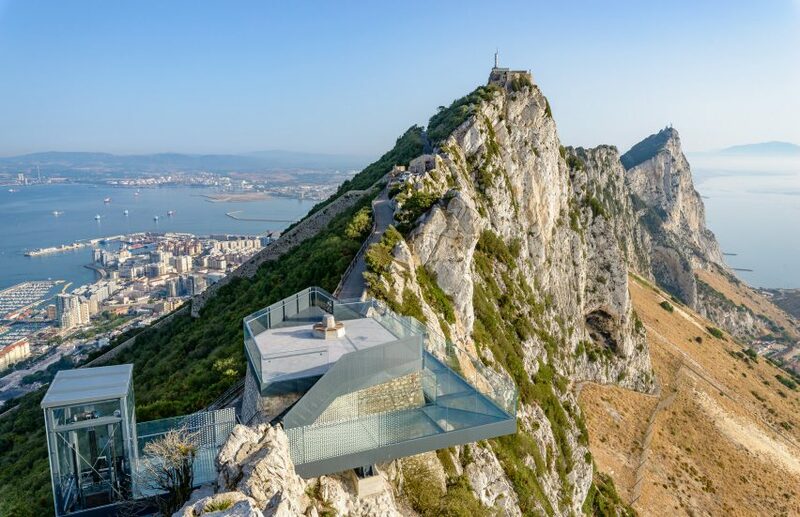 “This was a considerable challenge in an area with rapidly changing weather conditions and given the steeply dropping cliff-face below,” continued the architects. The Skywalk’s main steel structure comprises 18 separate pieces, weighing a combined total of over 30,000 kilograms, while the glazing modules, which include 750-square-metres of glass panels, are roughly the equivalent area of four tennis courts with the largest component weighing approximately 650 kilograms. 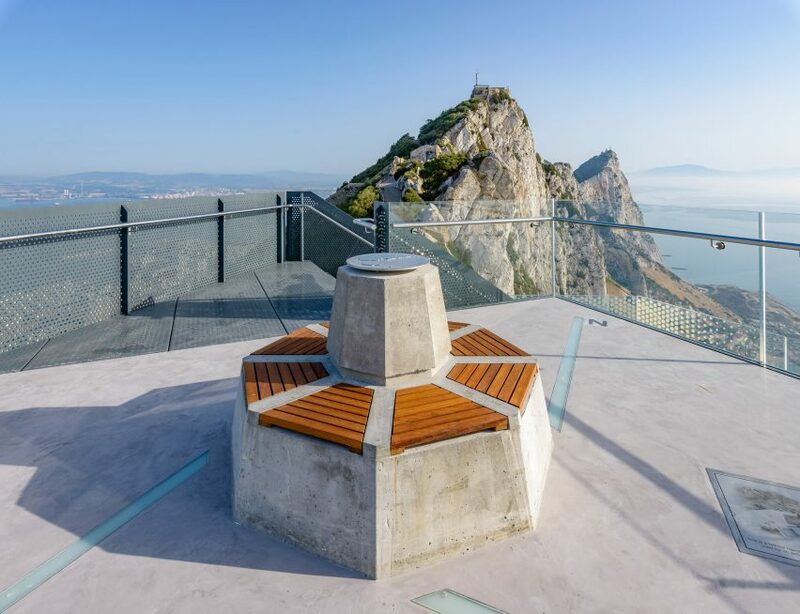 The structure was built on behalf of HM Government of Gibraltar and forms part of a wider programme of improvements to the area. Other developments include the construction of a 70-metre long suspended bridge, the restoration of numerous former military batteries and installations and introduction of interpretative and directional signage along newly established walking trails. In Holland Dutch firm MVRDV recently won a contest to create a wave-like viewpoint on the coast of Holland, which is designed to rock like a seesaw with the changing of the tides, while a helium balloon tethered to a cantilevered track was among the winners in a competition to design a conceptual observation deck for a volcano’s crater in eastern Turkey.